French poet Paul Verlaine was a major representative of the symbolist movement during the latter half of the 19th century. Norman Shapiro's translations seek to display Verlaine's ability to transform into verse the essence of everyday life and make evident the reasons for his renown in France and throughout the Western world. This selection provides the reader with a cross-section of Verlaine's repertoire. Shapiro has included a number of the poet's early works, showing him at his most capricious and lyrical; many poems from his middle period, which reflect his on-again, off-again conversion to Catholicism after his tumultuous relationship with Arthur Rimbaud; and poems from his late period, when he fell prey to poverty, dissipation, and disease. These later poems, rarely anthologized, and for the most part little known, mark an important shift in Verlaine's style and exhibit the biting wit and deep sincerity that characterize this entire collection. Biographical introductions and notes help explain the circumstances that gave rise to Verlaine's work. 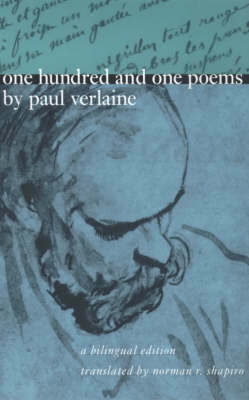 By spanning the poet's entire life work, Shapiro presents to scholars, students, and general readers of poetry the full range of Verlaine's achievement.